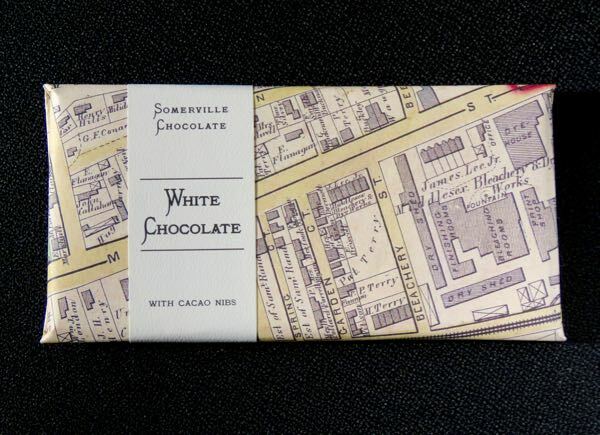 Today's White Chocolate with Cacao Nibs bar was made by Somerville Chocolate (Somerville, MA). 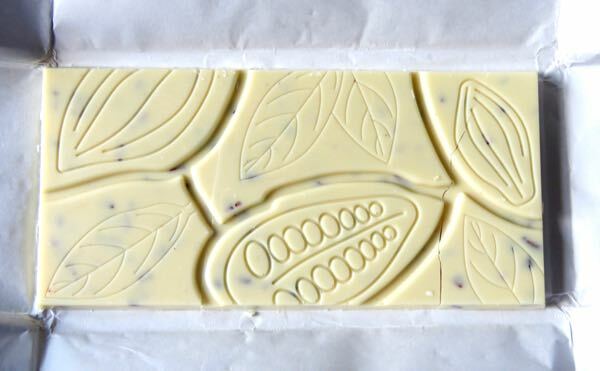 Only a small handful of white chocolate items appear on this site, ChocolateBanquet.com. And the few that do usually contain cocoa butter,* and are either blends with dark or milk chocolates. 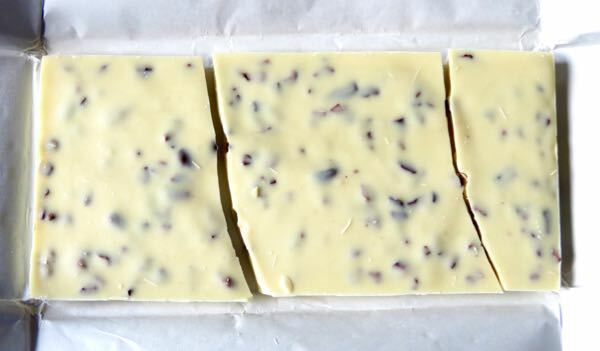 Or they, like today's bar, contain cocoa butter and cocoa nibs (pieces of cocoa bean**). 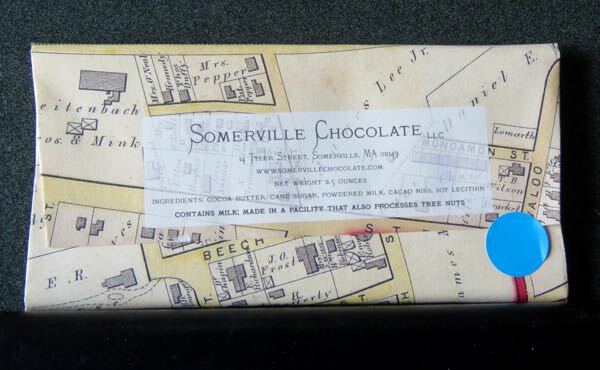 The flavor was predominantly white chocolate with a generous smattering of small dark crunchy bits (nibs) that tilted one's taste buds back over to the dark side every few seconds. And then, at the end of every bite, the sweetness gently but firmly re-asserted itself. *Many commercial white chocolates replace all or part of the naturally occurring cocoa butter (the fat portion of the cocoa bean) with vegetable oils. ** Cocoa beans are actually seeds, but the term "bean" has become the more widely used term.